Ibrox Noise: Could axed Rangers signing benefit from management change? Could axed Rangers signing benefit from management change? It’s safe to say one of Rangers’ most outstanding performers from January to only recently was the excellent Greg Docherty. Industrious, powerful, energetic, technically gifted and with surprising levels of pace and a more than decent pass, the former Hamilton man became a huge hit between January and March, with the kind of gritty display fans truly appreciate. However, from absolutely nowhere he has been axed from the first team, following an unsuccessful pairing with the out-of-position (and possibly form) Graham Dorrans. Of course, he was axed by Graeme Murty, who seemed to take personal dislikings to players and just ditch them when he no longer wanted them. Sean Goss too suffered the same fate, and the previously brilliant duo of he and Docherty was simply ripped up after one slightly weaker display from the pair (Celtic at Ibrox) and neither of them have essentially seen the light of day since then. 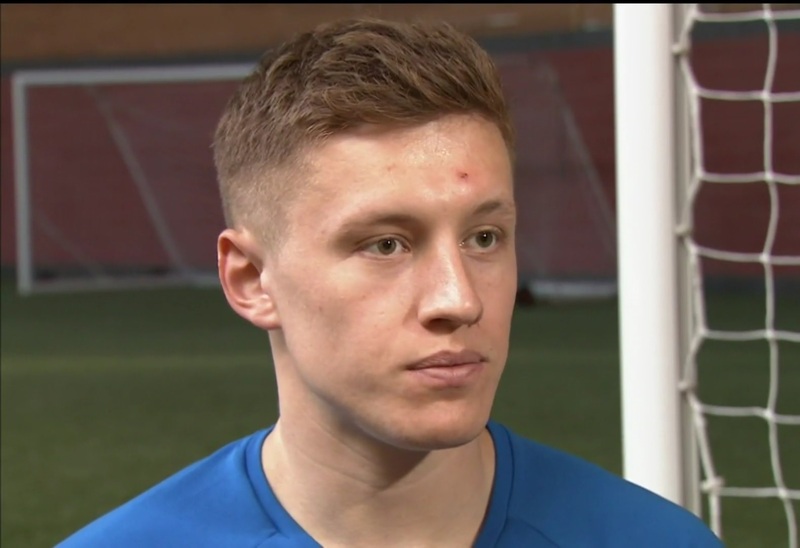 No question Greg Docherty is one of our best players, but he is another one to suffer from dreadful mismanagement and he’s one we desperately need used properly over the next three matches if we’re to have any chance of securing second. There is a reason we spent the best part of a million on the lad – while he is not the finished article yet, he’s getting there, and he showed just how good he is and how committed to the cause he is. The lad is a future Scotland player, but has suffered the dreaded ‘one bad match and you’re gone’ mindset of his previous manager. Which was only selective, of course. There was also the Hampden bust up with Alfredo Morelos too, which may have had an even bigger bearing on things. But, of course, Murty claimed Docherty told him nothing happened. Someone lied, simple as, and our money is not on Docherty. Especially given he found himself axed to the bench for the next two matches. He’s one we need back. Simple as. The future of the club is around players like him, with the excellent Kevin Thomson admiring him and saying he sees a lot of himself in the lad. We’d much rather listen to him than Graeme Murty. That's who I would play there, any of the 3. Just not Dorrans. Since he never played in the two disastrous matches with Celtic, he cannot be tarred like the rest. I agree with you guys. He's useful and needs a proper manager behind him.